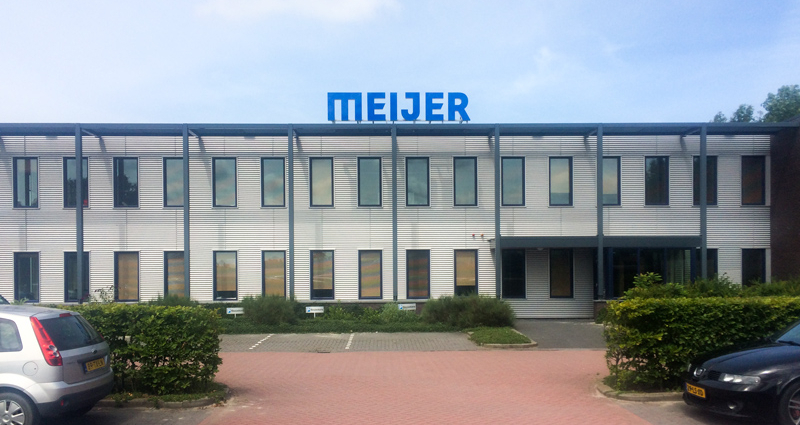 The German manufacturer of forklift attachments, Griptech GmbH has partnered with Meijer Handling Solutions on the development of an innovative side-shifting-fork-positioner with telescopic forks which offers distinct operational advantages. The Shift2End fork positioner is ideal for handling variable pallet widths and lengths and it can shift the forks all the way to either side without protruding outside the fork carriage. This makes container and trailer off-loading quicker and easier especially when dealing with various load sizes. For the USA market Meijer Handling Solutions Inc. is introducing the innovative and patent pending “Shift2End” concept which allows both forks to be moved together and as a pair traversed to the left or right. Standard fork adjustment, i.e. inwards from the outside edges, is also possible. Fitting the fork adjuster with KOOI-REACHFORKS® allows not only varying load widths to be handled, but also varying load lengths/depths. If you only have an occasional need for handling variable loads lengths/depths, Manual Extension Forks provide an ideal solution. 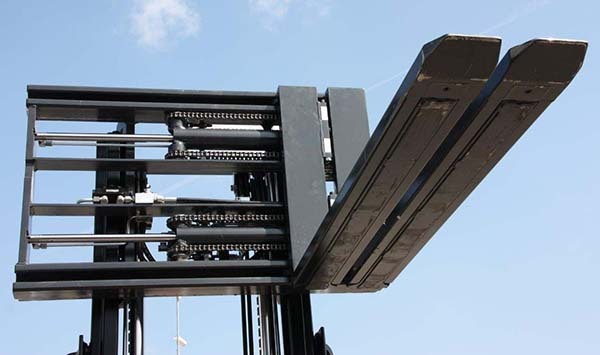 The Shift2End can be used for small pallet loads but also to handle special carriers like carton/paper pallets and OptiLedge type load carriers (Inter IKEA Systems B.V.). Minimum lost load thickness reduces the turning radius of the lift-truck, improving maneuverability and safety. 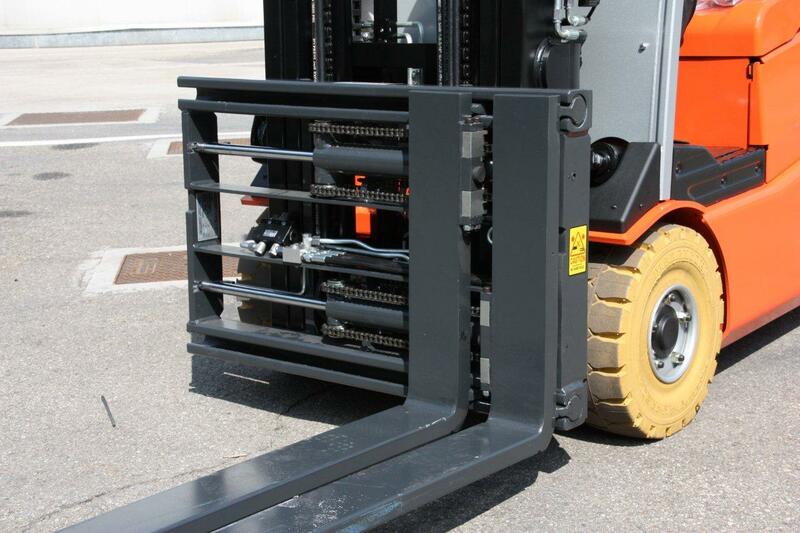 Minimal overall weight means the Shift2end has less impact on the residual capacity of the lift-truck. Sleek design with low construction height improves visibility which helps improve safety and handling cycle speeds. The forks always remain within the width or footprint of the truck. This means less damage to products, trailers/containers and lower maintenance costs. The Shift2end offers ideal visibility. Fewer moving parts along with protected hoses mean less down time and repair costs. Extension series KOOI-REACHFORKS® prevent forks from catching on pallet stringers when adjusting length.